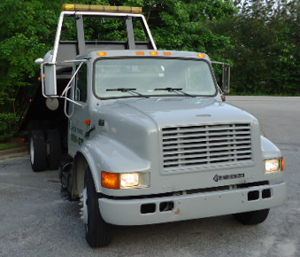 Raleigh Cary Towing | 24/7 Tow Truck Service - Lowest Prices in the Triangle and Best Towing on the East Coast! Welcome to Raleigh Cary Towing! We strive to help our customers in whatever areas they need assistance. From our 24-hour towing services to our speedy roadside assistance, we provide the very best service on the East Coast at unbelievable prices! Our service areas include Raleigh, Cary, Apex, Morrisville, Garner, Durham, and Fuquary Varina - but they don't stop there - give us a call and we will be more than happy to provide rate quotes on services throughout North Carolina. We pride ourselves on not only our unbeatable pricing, but also in the care we take to ensure that this process is as quick and painless for you as possible. You can trust Raleigh Cary Towing in any situation, from junk car removal to flat tires to everything in between. Our experienced drivers will secure and fasten your vehicle to our trucks as if it were their own. Give us a call today at 919-601-4266! Click here to check out photos of some of our recent tows.
" William from Raleigh Cary Towing was as honest and friendly as could be. The rate he charged was almost HALF of what other towing companies were asking. He arrived on time and even talked me through the process and showed me the care he took with my car. I HIGHLY RECOMMEND Raleigh Cary Towing!" "My car spun out going down an off ramp while it was raining and I couldn't get it out. The response time was fast (which got me out of the rain) and the rate was low which is what I was worried about most." "William picked up a broken down vehicle for me, and took it to the repair shop. No issues, fair price, and would use him next time."